Cloudy, slightly warmer-than-average air temperatures, and higher-than normal river flows. Freshwater plumes extend far into the waterways. Jellyfish from fall still persist in Budd Inlet. Chilly surface temperatures and pulses of high CDOM waters in Central Sound. Description Cloudy, slightly warmer-than-average air temperatures, and higher-than normal river flows. Freshwater plumes extend far into the waterways. Jellyfish from fall still persist in Budd Inlet. 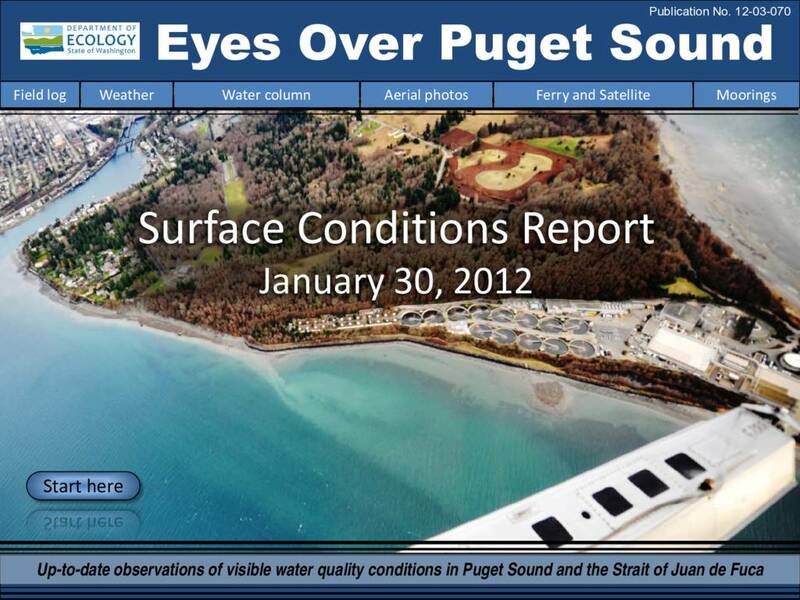 Chilly surface temperatures and pulses of high CDOM waters in Central Sound.